University employees can access shopping discounts in three ways. National discounts on thousands of retailers from CAMbens Discounts, by purchasing a TOTUM card and by showing your employee pass in selected local stores. Cambens Discounts is an outstanding shopping discounts scheme for University employees. 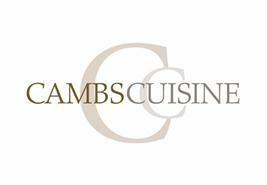 To register with CAMbens discounts, you will be asked to provide your payroll number, date of birth and home postcode. You are asked to provide this information to confirm your eligibility to join the scheme and for security purposes should you wish to withdraw cash back or request changes to your details in the future. For more information about the scheme please click here. If you have any further questions, please call the CAMbens Discounts helpline on 0203 780 1891 (Mon–Fri, 8am to 8pm. Sat–Sun, 10am to 4pm). As a staff member of the University of Cambridge, you are entitled to purchase a TOTUM card for £12, for use at thousands of high street, online stores, eateries, subscriptions and various other channels. TOTUM is the NUS extra card evolved. It comes with all the same great discounts and offers as the NUS extra we know and love but with additional features and functionality loaded into a mobile app. The mobile app ensures you get the most out of your card by notifying you of nearby offers and exclusive deals. Please note existing NUS Extra cards will still work for the duration of the card term. If you are renewing your NUS Extra card, a new TOTUM card will be issued. Feel free to email enquiries@cusu.cam.ac.uk should you have further questions. The steps are simple, click here to download the instructions. The University of Cambridge is committed to supporting local businesses. We make every effort to ensure that the details posted here are correct but you should always check with the business before purchase. Discounted rates on Apple products are available to University of Cambridge staff. Visit the University Information Services (UIS) website for further details. Eligible employees can download Office 365 ProPlus at no cost on up to 15 personal devices, which is available through the University’s Enrolment for Education Solutions Agreement with Microsoft. The package includes Microsoft Word, Excel, PowerPoint, OneNote, Publisher and Outlook. Eligible employees also have access to OneDrive for Business through the arrangement, providing them with one terabyte of online storage for their personal files on the Microsoft cloud. Visit the University Information Services (UIS) website for further details. All University of Cambridge staff are eligible to buy Dell products through their Dell Advantage for Employees programme. The programme provides discounts of up to 20% for any staff member looking to make a personal purchase. Dell Advantage is now running a 12% discount across XPS, Alienware, G-Series and Inspiron 7000 until April 30. Campkins Cameras is an independent, family-owned business which has been providing cameras optics, photographic accessories and services for Cambridge residents for three generations. Our expert staff have more than 50 years combined experience and are always pleased to offer advice and assist you with your needs. FREE extras with every camera purchase, 10% off RRP of accessories and 5-10% off the full price of used equipment and more - see all your exclusive member benefits here. Show your University Card to receive a 10% discount at Cambridge Strings, a specialist stringed instrument store with over 40 years' experience in music retail, offering a high quality service and competitive pricing to all musicians. Some restrictions may apply. Receive a 10% discount when you show your University Card at Grace’s Accessories, an independent Cambridge based Retailer. Grace’s Accessories specialize in elegant silver and semiprecious stone jewellery, as well as fashionable scarves and handbags. They also do jewellery repairs and restringing. Grace’s has three outlets throughout the city; 6 All Saints Passage, Unit 58, Eden Hall, The Grafton Centre, as well as a stall in the main market in front of the Guildhall every day (except Sunday). Podarok is an independent gift shop located in the heart of the city centre on Bene’t Street that offers a wonderful array of handmade and unique goodies. Present your University Card and receive a 10% discount along with free gift wrapping. A 10% discounts on Trespass clothing is available for University staff. Apply discount code Cambridge10 at checkout on www.trespass.com using your cam.ac.uk email address. Please note that the code may be changed or withdrawn at any time or in the event of misuse. 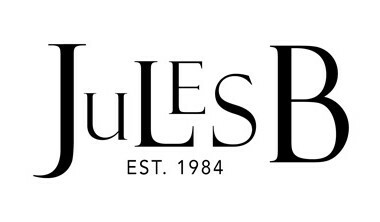 University of Cambridge staff can receive a 10% discount online with Jules B Jules B website Use the discount code CBRIDGE10 online to obtain the discount on full price stock only. Use your University Card to receive a 10% discount on purchases when shopping at CallyCo located at 7 peas Hill. With a bespoke making up service, an ever-changing range of furnishing, dress and craft fabrics, along with a great selection of haberdashery, ribbons and trims, CallyCo is the first choice for creative, stylish, independent-minded customers. Visit the Cambridge University bookshop on Trinity Street and show your University card to obtain a 20% discount on any purchase. Premier Travel Agency offers University staff up to £100 off package holidays as well as preferential rates on foreign currency. Please contact 01223 503000 or email add@premier-travel.co.uk for more information. Please present your University card to receive benefits. Terms and conditions apply. Cotswold Outdoor specialise in outdoor clothing and equipment and offer University of Cambridge staff a 15% discount in store (6–7 Bridge Street, Cambridge) on presentation of a University card. Vets4Pets Cambridge and Cambridge Beehive are pleased to offer 10% off our services for Staff of the University. Vets4Pets in Cambridge is run by two University Alumnae and offers the highest level of care to animals in the Cambridge area. Vets4Pets are the only practice in the city that offers Keyhole Surgeries by their own staff throughout the week and has a range of packages to help with your preventative health care. Offer available only at Vets4Pets Cambridge and Cambridge Beehive. Offer is limited to one year initially. Please provide Staff card on arrival so a discount card can be issued for your pet. 10% discount does not apply to Vac4Life or Careplans which are already heavily discounted. To qualify for these offers, University of Cambridge employees must bring their photographic staff ID card to their appointment as proof of eligibility. The discounts do not apply to Phakic IOL procedures, online purchases and direct-debit contact lens sales, and cannot be used in conjunction with any other promotion, offer, discount or entry level treatment promotions available to the general public. *Optical Express provides NHS eye examinations to all eligible patients free of charge. In England, Wales and Northern Ireland, eye tests are free with any purchase, £20 without purchase. In Scotland, eye tests are provided free by the NHS every two years. **Minimum spend of £3,000 required to qualify for 10% discount, after discount applied. ***Free second pair - If £100 or more is spent, after any discount has been applied, on a complete pair of prescription glasses (frame and lenses), then a free second pair can be chosen from the Essential range. The free second pair must be fitted to the same prescription and the frame must be chosen from the Special Collection. The employee may upgrade the lenses or frame and pay the additional amount. A free second pair cannot be given in conjunction with a complete price offer. 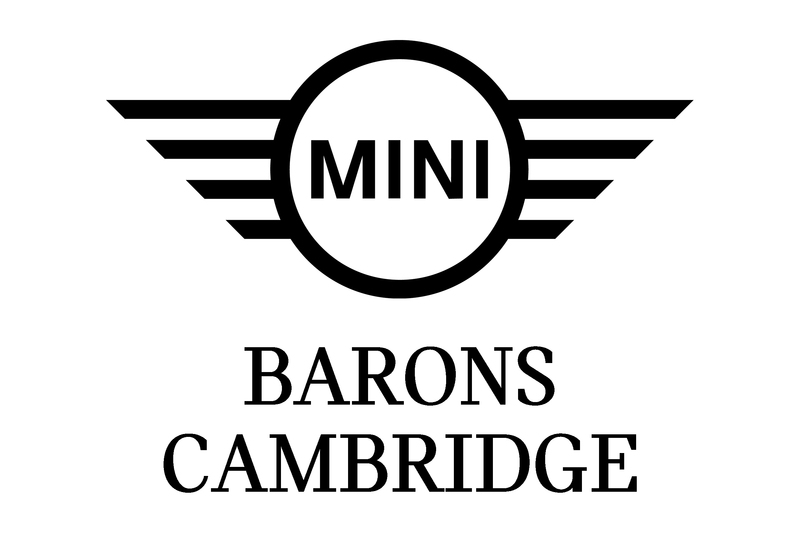 As your local MINI Retailer, Barons Cambridge MINI have a range of fantastic offers. Barons Cambridge offers the highest levels of service and expertise in the local area, and is the only Centre for all of your MINI needs. T&Cs: *Excludes BMW & MINI Value Servicing. Please visit www.baronscambridgemini.co.uk for full terms and conditions. **Offer must be quoted on initial enquiry. Quote code CAMUNI. Subject to availability. Show your University Card at the DoubleTree by Hilton Cambridge and Marco Pierre White Restaurant and receive 25% off food and beverages. It is perfectly situated on the banks of the River Cam, boasting picturesque views and only a few minutes walk to the town. Please note that the discount cannot be combined with any other offer and some restrictions may apply. University staff can receive concession rates for productions at the ADC Theatre and Corpus Playroom. During University Term, there are usually two shows a night: a mainshow at 7.45pm followed by a lateshow at 11.00pm. The ADC Theatre is the liveliest theatre in Cambridge, presenting a vibrant programme of drama, music and comedy. The aim of the ADC Theatre is to provide opportunities for students to experience and learn about all aspects of theatre, while presenting professional standard productions. The ADC Theatre has helped to launch the careers of many theatre luminaries, including Sir Ian McKellen, Rachel Weisz and Emma Thompson. The ADC Theatre also manages the Corpus Playroom, Cambridge's primary fringe space which showcases a variety of productions, with an emphasis on new writing. If booking online, select 'University of Cambridge staff' from the list at the time of booking to receive the discounted rate. Rent a canal boat from Black Prince and enjoy the scenic views of Cambridgeshire from the River Cam. 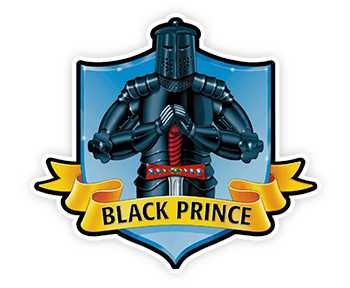 Get your 10% discount on top of other offers by quoting CAMUNI10 - visit www.black-prince.com for more information. Peymans is a dedicated provider of luxury serviced accommodation available for short-term lets and rentals. We manage and maintain an array of stunning properties throughout some of the UK's most thriving cities, helping you discover and enjoy the very best of Cambridge, Hertford, London, and Oxford. We are committed to ensuring every visit is comfortable, pleasant and stress-free, taking pride in delivering our signature level of customer satisfaction upon which Peymans has built our reputation. Each of our properties are elegantly decorated and stringently maintained to the highest standards, ensuring that you have all the home comforts and amenities to enjoy a truly effortless stay. With Peymans, you can leave the fuss to us and focus on your city break, business trip, or university visit - with absolute peace of mind. University of Cambridge employees have access to competitive rates on private medical insurance through General & Medical Healthcare. Further details are available in the scheme brochure. Health Shield is a health and wellbeing provider, offering Health Cash Plans to members of staff. Please note, this is not private medical insurance, meaning membership is affordable, there is no excess fee, and you don’t have to be unwell to claim. You will have access to a range of services and benefits, giving you peace of mind that your everyday healthcare costs including optical, dental and physiotherapy treatments are covered with up to 100% of your money back*. Being a member is an affordable way to help keep you and your family healthy, through a range of preventative wellbeing services and access to the right care at the right time. There are 6 levels of Health Shield membership to choose from, starting from as little as £1.25 per week. Membership fees are deducted from your salary. • Cover is available for you, your partner and your dependent children (up to the age of 21 in full time education). Cover provides separate annual maximums for yourself and for each additional person. • Money back* for optical, dental, physiotherapy, specialist consultation fees, prescriptions and more. • Access to a 24/7 Counselling and Support Helpline, On-Demand Physio and GP Anytime services, with the option to have your private prescriptions sent to you by post. • PERKS - all Health Shield members are given access to exclusive discounts, including specific gym memberships, high street shopping discounts, cinema tickets and more. • Worldwide cover for some benefits. • £100 towards gym membership/personal trainer/fitness classes/swimming lessons. • £500 towards family planning. • £2000 critical illness cover. * Up to annual limits for each benefit period, subject to annual review. Blue Fitness is available for all University members to join, including all current staff and students, College staff, alumni, retired University staff, visitors to the University and spouses of members. New promotions are updated regularly on their website and membership fees are available on an annual or quarterly basis. For more information call 01223 337766, visit the website or email bluefitness@admin.cam.ac.uk. University of Cambridge employees have access to a 35% discount. This includes access to the sym, swimming pool, fitness classes and personalised fitness induction and exercise programme. It includes access to any BETTER centre in Cambridge: Parkside Pools & Gym, Abbey Pools, Cherry Hinton Sports Centre & Jesus Green Outdoor Pool, only available on the monthly rolling contracts. For further details and to book a free tour please contact 01223 446100 or email parksidepools@gll.org. Employees are required to show their University Card to obtain the discount. Visit The Hive (Better Gym, Ely) with your University card to receive a 30% discount on pay & play cards and 10% on prepaid membership. On production of your University card, University employees can access a range of discounted treatments from the team of therapists at the Cambridge Complementary Health Centre (located in the city centre). Therapists offer an individual treatment rate and discount (up to 25%). Please note, not all therapists will offer this discount, please check at the time of booking. Telephone 01223 355344 to make further enquiries or an appointment. The University of Cambridge Sports Centre is equipped with a fitness studio, strength & Conditioning room, badminton courts, squash courts, fives courts and a range of fitness classes, making it one of the best facilities in the local area. 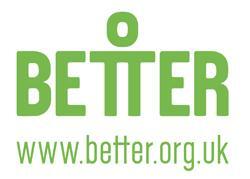 You could become a Cambridge Sport member and be so much more than a slave to the treadmill. Being a staff member at Cambridge University gets you access to all of these superb facilities with a 12.5% discount meaning you pay as little as £35 per month! Why not pop in for a look round or contact reception on 01223 336580 via phone and enquiries@sport.cam.ac.uk via email for more information. Match Hairdressing would like to welcome you to our cosy Hair Boutique with a 20% Discount on all hairdressing services. Please bring your University card. The 1 Scheme from Ashtons Legal is an employee benefit scheme covering the legal needs of all University of Cambridge staff and their families and offers a range of benefits including a 15% discount on all fees. For more information visit the webpages here. Further details are also available by contacting unicamb@ashtonslegal.co.uk or 0333 220 9042 (quoting University of Cambridge). Almary Green has 4 advisors in the Cambridge area that offer advice on all aspects of financial planning including mortgages, pensions, divorce and investments. They offer a discount to University staff of £25 per hour off their hourly rates (please quote AGI-CAMB UNI). Dartington Wealth Management has provided financial advice in Cambridge and to University staff since 1962. They arrange initial meetings at no charge to establish whether or not they can help and to clarify the issues and to identify options. At the end of this meeting they will explain the actions that should be taken, and, if appropriate, the work that should be completed and any associated fees. If they recommend work should be carried out on your behalf they reduce their usual initial advice fee by 20%. in the first instance call Malcolm Coury on 01223 211122 to arrange a meeting. NW Brown began life as a partnership in Cambridge in 1974 and today comprises several subsidiary companies together offering a comprehensive range of financial services including Financial Planning, Life and Pensions, Investment Management, Employee Benefits, General Insurance and Mortgages. We are pleased to offer discounts on our charges and welcome enquiries about our services. Use your University Card to receive a 15% discount on labour and materials from the locksmiths with over 35 years’ experience in Cambridgeshire. To access a 10% discount on removals, contact Abels Moving Service by visting their website Removals Cambridge. Bishop's Move provide Local, National and Global moving services including full Relocation assistance and HomeSearch services. To access your 10% discount, please contact corporate@bishopsmove.com or telephone 01293 613027. Doree Bonner (telephone 0800 289541 or email moving@dbonner.co.uk) offers employees 10% off local moves, national moves or storage. Simply Removals are a leading home removals company who serve Cambridge. They have a fleet of vehicles and over a hundred staff covering the whole of the UK. They are able to offer house removals at short notice and also offer a complete packaging and storage service. Visit http://www.simplyremovals.co.uk and receive a 10% discount by using the code: SIMP10. A number of cycle shops offer discounts on cycles and accessories to University employees. All you need to do is show your University card. Full details can be found here. Half-price private membership (is available for University of Cambridge staff and students. 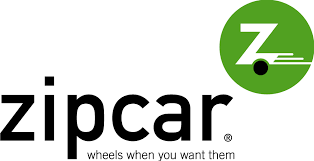 Visit www.zipcar.co.uk/cambridgeuni to register. The Universal bus service operates between Addenbrookes, West Cambridge and the Madingley Park and Ride with an additional stop at the railway station. It operates a new 15 minute frequency Mon – Fri and a 20min service on Saturdays between Madingley Park and Ride and the railway station. Discounts apply for University card holders, just show the driver your card and pay just £1 per journey. Other weekly and monthly ticket options are also available for Whippet services. For ticket option click here. A route map can be found here while a timetable can be found here. A 10% discount rate on the purchase of train season tickets and bulk buy tickets is now available for staff of the University of Cambridge. 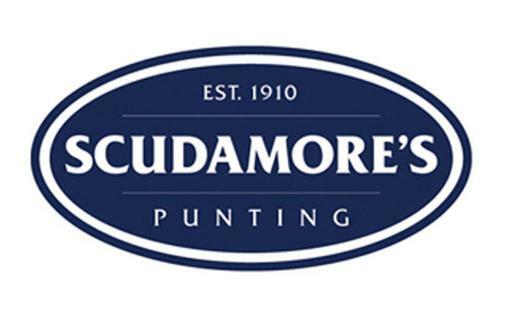 Scudamore’s Punting offer concessions rates on self-hire of punts, canoes, rowboats and kayaks for University staff when they show their University Card. The discounts include up to £4 per hour off standard hourly rates and up to £20 off day and overnight rates. University staff can gain a further discount online through our concessions tickets for a range of Boat Hire services. 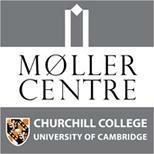 Show your University Card to take advantage of special discounts when booking at the Møller Centre, set in the beautiful grounds of Churchill College. Receive special rates of Single B&B - £90 and Double B&B - £114 which includes VAT and breakfast. You may also upgrade for an additional £25 (subject to availability). Some restrictions apply. 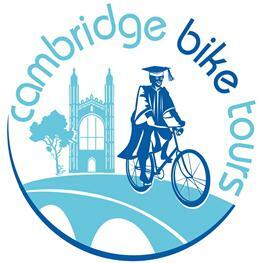 Use your University Card and receive 20% off the City and Grantchester tours with Cambridge Bike Tours. 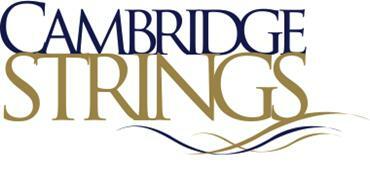 Cambridge Bike Tours offers a fun and leisurely way to explore this beautiful and fascinating city. Discover hidden gems with one of their knowledgeable guides all while cruising on one of their many bikes. For more information click here. Show your University Card and enjoy £7 tickets to the Britten Sinfonia at Lunch series performed by Britten Sinfonia, the University's Orchestra-in-Association, and one of Europe's most dynamic chamber orchestras. Discounted tickets available on the door only. CAMbens Discounts - Our National staff discounts are managed through our discount provider Reward Gateway. Therefore, please work with them to become a provider, with a discount available to our staff. Local Discounts - If you are a local business and would like to appear on this page as offering a Local Discount for staff then please email us: cambens@admin.cam.ac.uk. Local businesses will need to be within 20 miles of Great St Mary’s church in central Cambridge. Cafés, restaurant, clothing, technology, homewares, gyms, financial and legal services and transport providers are all acceptable businesses. All retailer offers will be reviewed by the HR Reward Manager, University of Cambridge.